Ends on Sat, December 1 2018 7:35 AM EST. “An adventure for the Ice Kingdoms Campaign Setting by Mad Martian Games. Deep in the heart of Mount Surtur, an ancient evil long thought vanquished is stirring. 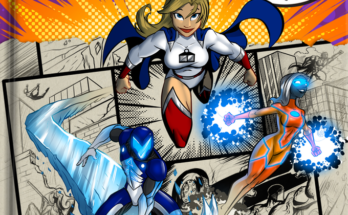 Can your heroes protect the Ice Kingdoms from the legacy of the fire giants? The Ice Kingdoms is a fantasy setting inspired by and designed for old-school RPGs. We love the ‘feel’ of old school games (such as pre-3rd Edition Dungeons and Dragons) and their rules, so we are creating game material that is compatible with several modern game systems that use the Open Game License to ‘retro-clone’ those classic games. The Ice Kingdoms is compatible with OSRIC and For Gold & Glory, and our books can also be used with Swords & Wizardry, Basic Fantasy Role-Playing, and Labyrinth Lord with only very minimal conversion, as well as the original editions upon which these games are based. We are currently working to convert our earlier projects to other game systems such as Pathfinder, 3rd Edition and 5th edition. Our plan is to continue to publish our material through print on demand suppliers such as Printer Studio and Lulu. This has let us keep the cost of the Kickstarter as low as we can and pass the savings on to you. If we raise substantial funds over our goal and stretch goals, this method of production may change. The money being raised is to pay for our stable of artists and our contributing writers such as James M. Ward, Richard Knaak, Scott Eos Weldon, Chris Lites, and more. We have decided to go with professional artists instead of using stock art or public domain art to enable us to precisely evoke the world and feeling of the setting we have created. We also want our backers to receive a product with new art and not just reused images they may already have in other products they have purchased. This Kickstarter will cover one of our adventures planned from the first Kickstarter we ran in 2016: The Fires of Mount Surtur. In addition, we have a supplemental Compiled Bestiary in the works that will be released as part of this Kickstarter. For this project, we have enlisted the talents of Grant Hoeflinger to handle the writing of the core adventure with the support of writers Moses Wildermuth (For Gold & Glory) and Chris Lites (Dust Adventures, Conan) and more to handle the writing chores while RW Stenberg continues to handle the art direction. Richard A. Knaak (I interviewed Mr. Knaak on the OGN here). Among the contributors, let’s highlight James M. Ward and Richard A. Knaak. For James M. Ward, just to name four of his credits, there is Metamorphosis Alpha, Gods, Demi-Gods & Heroes, Gamma World, and Deities & Demigods. He’s done so much more, but to say James is the perfect fit for an OSR is an understatement. He will elevate this project to another level. To help flesh out the setting, Richard A. Knaak is another exemplary choice. He wrote the early D&D novels Dragonlance: The Legend of Huma, and Dragonlance: Kaz the Minotaur, as well as his latest series, Rex Draconis. Richard understands worldbuilding that creates locations that birth great action-adventure. Mad Martian Games has assembled an excellent crew to build this book and I’m eager to see the results. This crowdfunding campaign ends on Saturday, December 1 2018 7:35 AM EST. You can support this Kickstarter campaign here. Ends on Sat, December 1 2018 12:00 AM EST. 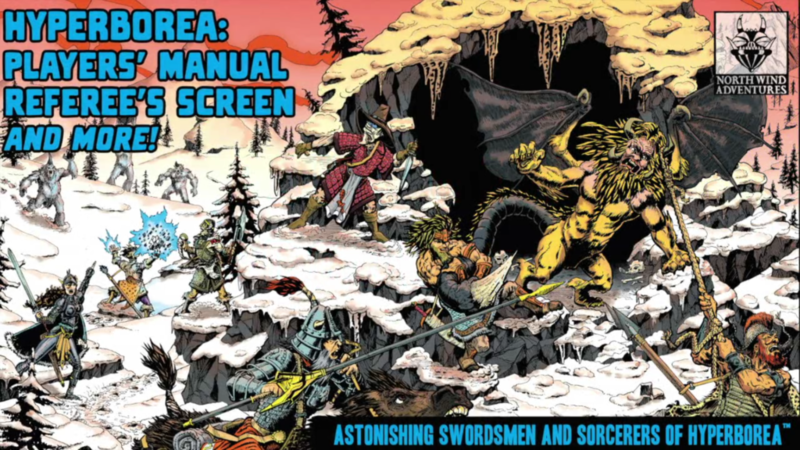 HYPERBOREA: Players’ Manual, Referee’s Screen, and More! The Hyperborea Players’ Manual compiles Volumes I, II, and III of Astonishing Swordsmen & Sorcerers of Hyperborea, as originally presented in the AS&SH 2E hardback. The milieux ofAS&SH are inspired by the fantastic literature of Robert E. Howard, H.P. Lovecraft, and Clark Ashton Smith. AS&SH rules and conventions are informed by the original 1974 fantasy wargame and miniatures campaign rules as conceived by E. Gary Gygax and Dave Arneson. I truncated the copy of their campaign (above) to focus on the core component, zeroing in on Player’s Manual. Please check out their Kickstarter campaign (here) for details on the Player Character’s Folder, the Referee’s Screen, and their original adventures. Before I get into that, let’s talk about the game itself. This is a straight-up OSR. Like many OSRs, Astonishing Swordsmen & Sorcerers of Hyperborea is a cleaned up variation early of D&D/ AD&D. What makes AS&SH standout from other OSRs (and many non-OSRs) is its flavor. 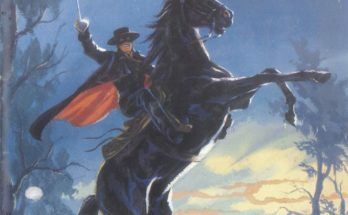 This game leans into its world more than many, basking in the literary inspiration of Robert E. Howard, H.P. Lovecraft, and Clark Ashton Smith. When you look at AS&SH, you feel the touch of those roots as much as the D&D mechanics. Breathing in that world makes this an exciting option for your gaming table. For AS&SH‘s Player’s Manual, you’re getting a compilation of “Volumes I, II, and III of Astonishing Swordsmen & Sorcerers of Hyperborea, as originally presented in the AS&SH 2E hardback.” From the comments on the campaign, creator Jeffrey Talanian shared this clarification: “There will be no such changes to the Players’ Manual, I’m afraid. This book is planned to correlate perfectly with the hardback, with all the same material, all the same page number references.” By creating this book, the GM will have the full details of the game and setting in the hardback while providing a player-specific book to work from with the Player’s Manual. This adds to the gaming experience by providing players with the tools they need and eliminating the portions that can hurt the player experience at the table. As mentioned above, there is more to this campaign than just the one book. It’s worth checking out the Kickstarter to see the adventures and other accessories that are available. This crowdfunding campaign ends on Saturday, December 1 2018 12:00 AM EST. You can support this Kickstarter campaign here. Ends on Fri, November 30 2018 10:50 PM EST. 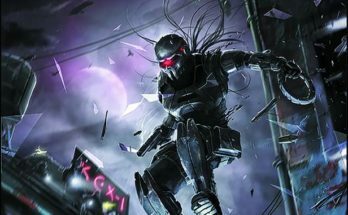 Lan’A’Nark Zytek takes players down an adventure path, in a unique gritty campaign setting designed from the ground up for versatile play. GM’s are provided with the tools to enhance and provide difficulty, realism, drama, and any other elements they believe should belong at their table. Made to meet any tabletop groups intentions or ambitions, providing the GM with the tools needed, so they to can have fun with the story along with the players. Although the module section of the book is somewhat linear and leads to the next book in the saga, the campaign setting is clearly laid out and will include easy to use instructions to be made into a sandbox for any GM’s whimsy. Take a look at the link below to learn a lot more about this project. Take note that is just a demonstration containing cut down information, and less than 10% of the book. This project will create a gritty campaign setting (there’s a link to see a sample of it here). What makes this Kickstarter standout is its use of D&D 3.5e mechanics. While 3.5e falls outside of the normal confines of OSR, this project still points to the treasures the OGL offers. I’m fascinated by projects, and Kickstarters, that focus on 2e, 3,0e, and 3.5e. The love for Basic D&D, AD&D 1e, and D&D 5e all make sense because that’s where many gamers started or currently are. While D&D 4e projects are rare, you can understand them in the context that 4e is different than the other versions of D&D (your mileage may vary on that observation). Building a project based on the middle editions of D&D is an unusual route to take. Seeing a project that focuses on 3.5e, as opposed to Pathfinder 1e (3.75e), is one way to gauge the market-size for that system. Is 3.5e still a popular edition? This campaign will help us to discover that, and for that alone it’s worth checking out. This crowdfunding campaign ends on Friday, November 30 2018 10:50 PM EST. You can support this Kickstarter campaign here.